(L to R): Mattie Ryan, Cathaoirleach, Tipperary County Council; Mike Pearson, Gurteen Agricultural College: Denis Naughten T.D., Minister for Communications, Climate Action and Environment; Tom Short, IFA; Thomas Hubert, Irish Farmers Journal; Paul Kenny, Tipperary Energy Agency; Barry Caslin, Teagasc, Gerard and Caoilfhionn Coyle and Thomas Ryan, IFA. Energy in Agriculture Launch at the farm of Gerard and Caoilfhionn Coyle, Corra Beg, Athleague, County Roscommon an Saturday last. 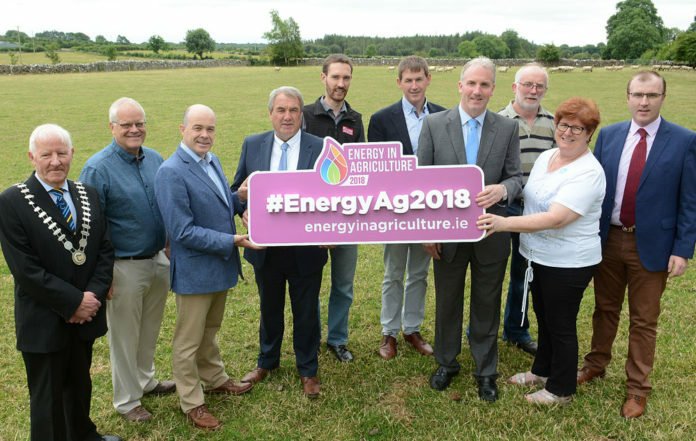 On Tuesday, 21st August Gurteen Agricultural College in Co Tipperary will play host to thousands of farmers and industry representatives during Energy in Agriculture 2018 which was launched today by Minister for Communications, Climate Action, and Environment, Denis Naughten TD. 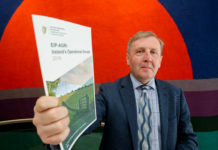 Energy in Agriculture 2018 will explore the latest renewable energy opportunities to use clean technology, drive efficiency and manage business costs in Irish agriculture. 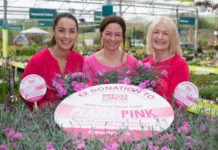 The event, which is in its third year, is jointly -organised by Teagasc, Tipperary Co Council, IFA, Tipperary Energy Agency, Gurteen College with the Irish Farmers Journal as media partners. Energy in Agriculture 2018 will feature a comprehensive seminar programme with some of the leading experts in the industry. 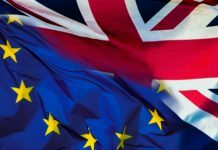 This, combined with a showcase of technology suppliers, funding providers and advisory bodies, means the event is a one-stop shop for pioneering agri-businesses. Practical demonstrations on renewable energy production in all agricultural sectors. Three venues with on-going talks on practical energy usage, sustainability and challenges in renewables. Energy expo exhibitor arena and cost-saving tips to reduce energy bills. FREE 1:1 legal and financial advice clinics with industry experts. An innovation showcase which demonstrates new sustainability innovations.